Enterprise comes to help a call from the Federation's outer-most colonies, but realizes that the town is no longer there and it's because of the Borg. 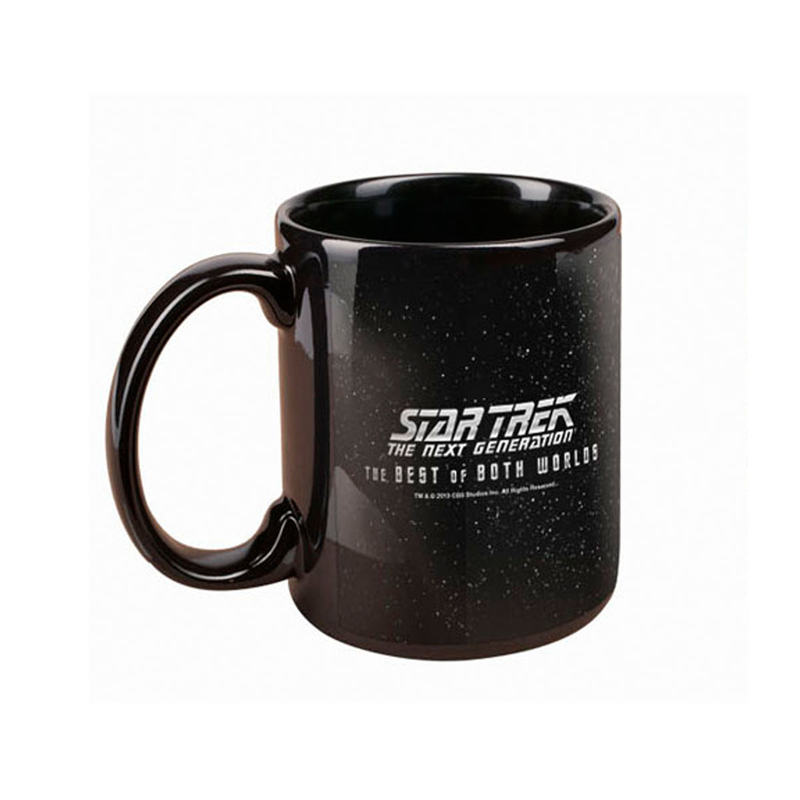 This Star Trek The Best of Both Worlds Mug is great for any Next Generation fan. Great addition to my "Star Trek" collection. I'm a fan of "the Borg Collective." I love my cup of joe every morning and this is just a fun way to enjoy it. Nothing fancy, Just Cpt Jean luc Picard and me having coffee. I use it for drinking and its safe to put in the microwave. I have no negat Ive commets for this product. I enjoy it very well. 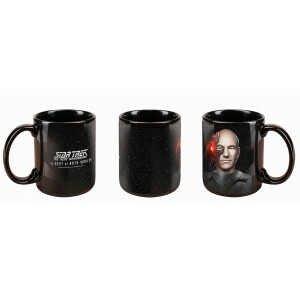 I like to enjoy my morning coffee with Jean Luc and my evening tea with the Borg. I mainly got it to put up! I was watching the reruns of the SNG and the best of both worlds came on right after I got the cup!! Awesome!! I gave this mug to our teenage son who has become a big Star Trek fan. He loves it and does not want to use it, because it is "too nice." So he has it displayed in his room. Very nice mug. Impressive graphics. Very happy with the quality and price. It is cool and has a great quality picture of Jean luc as locutous. 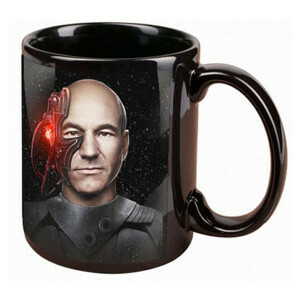 Now I can take my breakfast with locutus of borg! Good image quality! Excited to get to use it at my lab/office! I bought this for my brother, who like me, is a huge Trekkie! He likes it so much that when he 1st opened it he just about did a cartwheel! I've used it too, and it seems to be well made. The design on it of Locutus is very high quality also. Actually better looking than I expected, and I expected it to be awesome! Now I'm jealous that I didn't buy one for myself at the same time. Try your best not to like it, and you'll find that "resistance is futile." One of my favorite episodes of Star Trek TNG and I love the art work but it's just too small. The wrong mug was in the box. The packing slip had the correct mug ordered but the wrong mug was in package. 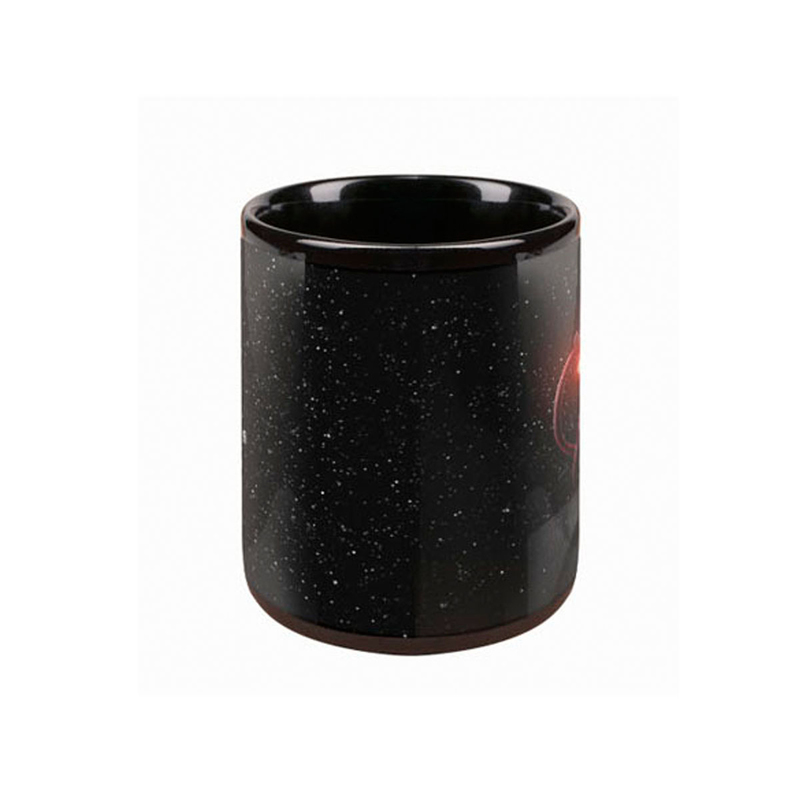 As opposed to most novelty items that you might buy at the local Mall or retail outlet, this mug is well-made and appears to have been created with great attention to detail and design. One thing in particular that impressed me was the fact that the usual "Made in China" type of tag wasn't printed on the bottom in text; instead the word, "Thailand", is built into the mug on the bottom face, which both looks neat and doesn't disgrace the design of the mug overall. Perfect size for that mid-day cup of coffee.